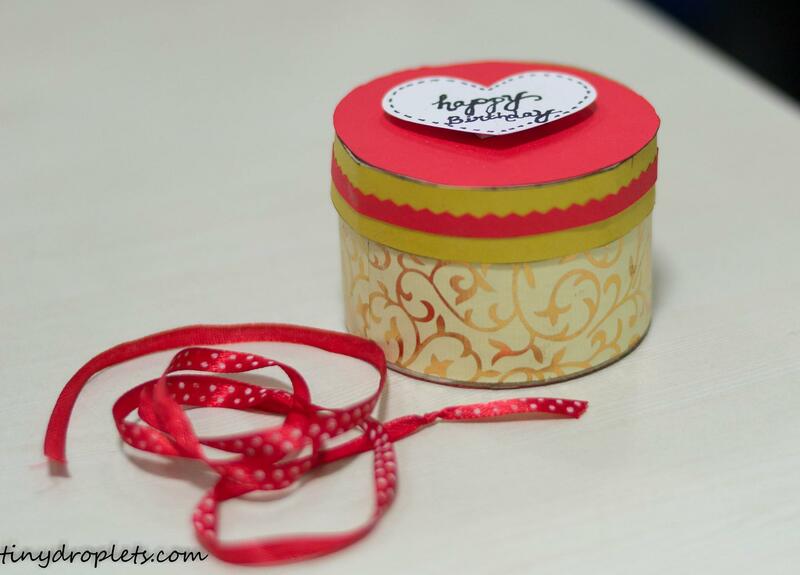 Using a tape roll to make cute little gift box is fun and a creative idea. 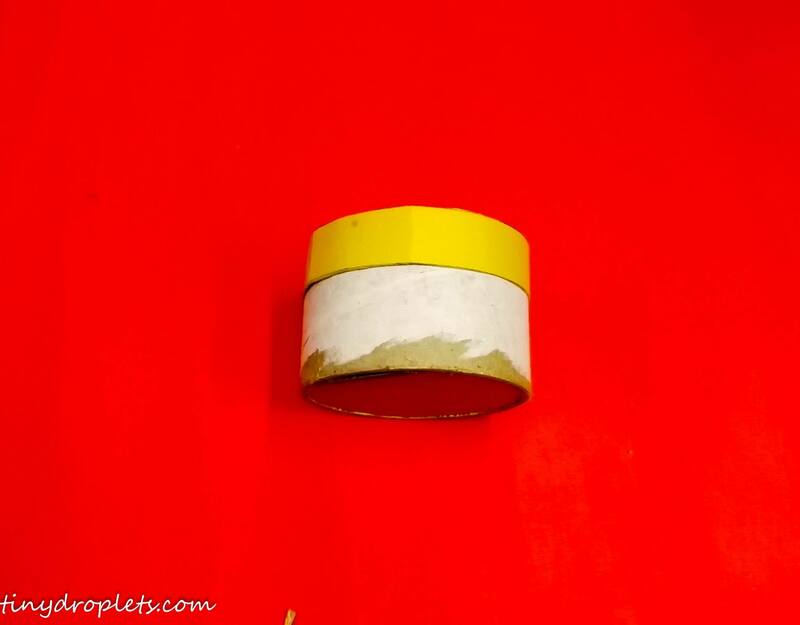 You can really make something nice with this little roll.This DIY upcyle idea helps to recycle the used tape rolls and its one of my favorite DIY idea.I have been recently making them and have gifted to many of my friends at various occasions. 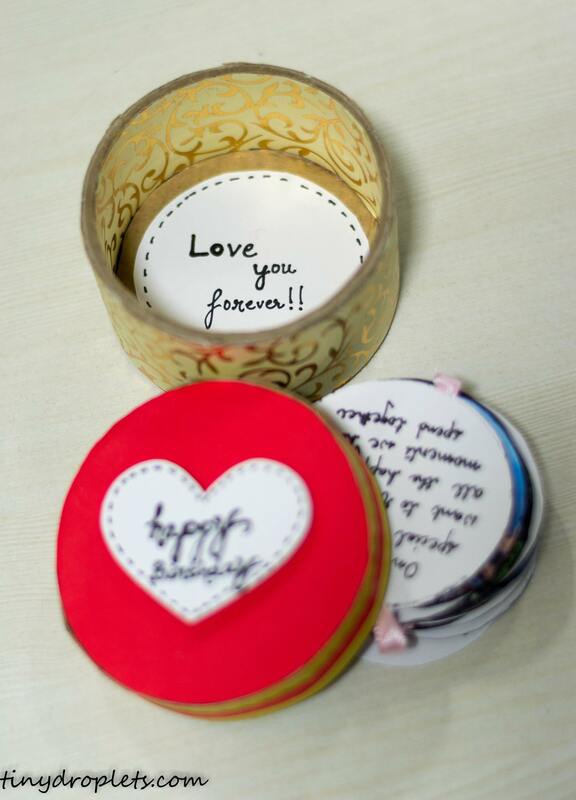 These rolls can be turned into gift box, jewel box, photo box, cookie box and many such wonderful piece of handmade craft. Lately I have bought whole lot of duct tapes for various craft projects. I was left with many such rolls which were ready to be thrown and it was a coincidence that I stumbled upon this idea. I love upcycle ideas and recycling these rolls if fun.Next week is my best friends birthday and as usual a handmade gift was on my list. I used an old roll and made a pleasing gift box for my dear mate. This is just one such idea of decoration. You can play with the decoration and make beautiful stuff. 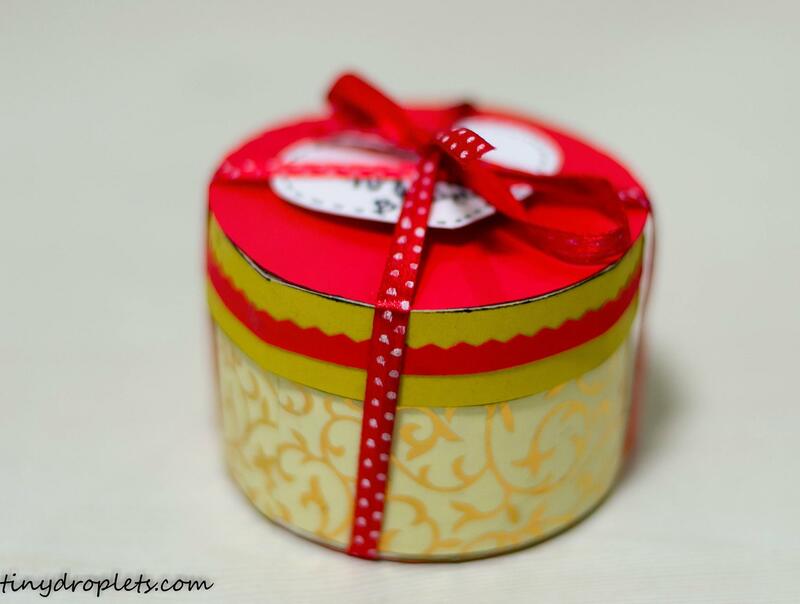 This alluring box can readily made using tape roll,glue,cardboard sheet(can be used from old cardboard boxes),scissor, tape, craft paper and ribbon. We need to make two round cut-outs from the cardboard sheet. Measure the circle according to the size of the roll. If the cardboard sheet is thin use scissor to perfectly cut them, but if the sheet is thick use an X-acto blade. 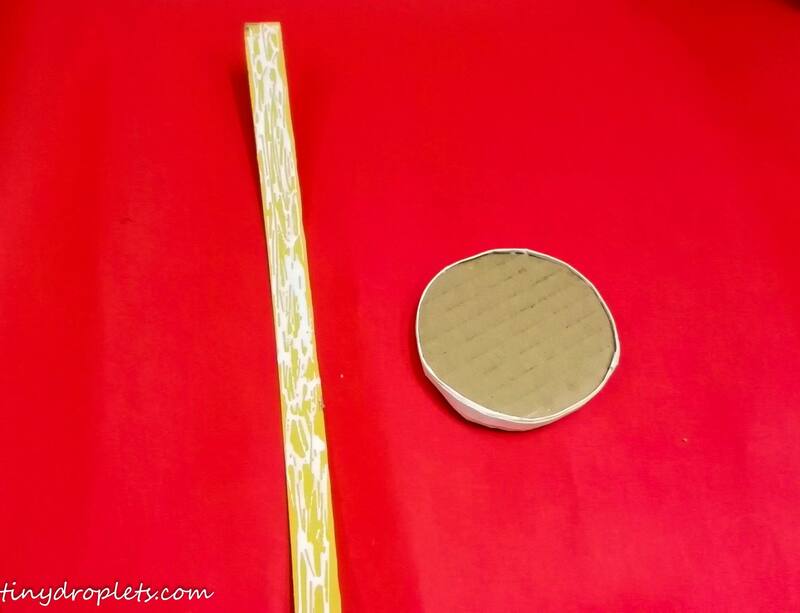 Do not worry about the rough cut-outs, we will cover them with craft paper.Glue one of the circle to base of the roll and keep aside another one for the lid. Leave aside the box so that the glue fixes the bases perfectly. 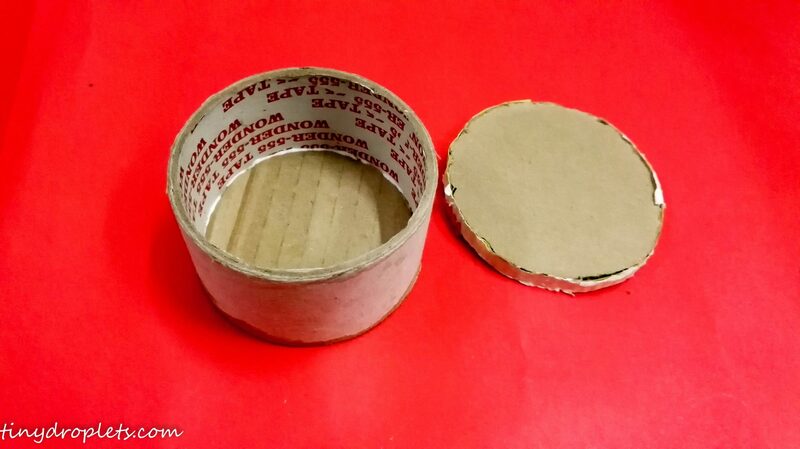 Take the second cut-out, cut a thick strip larger than the width of the cardboard circle. All you need to do is cover the width of the cut-out with the strip. Keeping the strip greater in height will help the lid to fix completely to the box. As the strip is attached to the outer surface, it becomes larger than the box. Try to make the lid larger in size. Once lid is finished try to fit the lid to the box. Now you are just left with the task of box decoration. You can use your creative way to make this box look perfect for gifting. 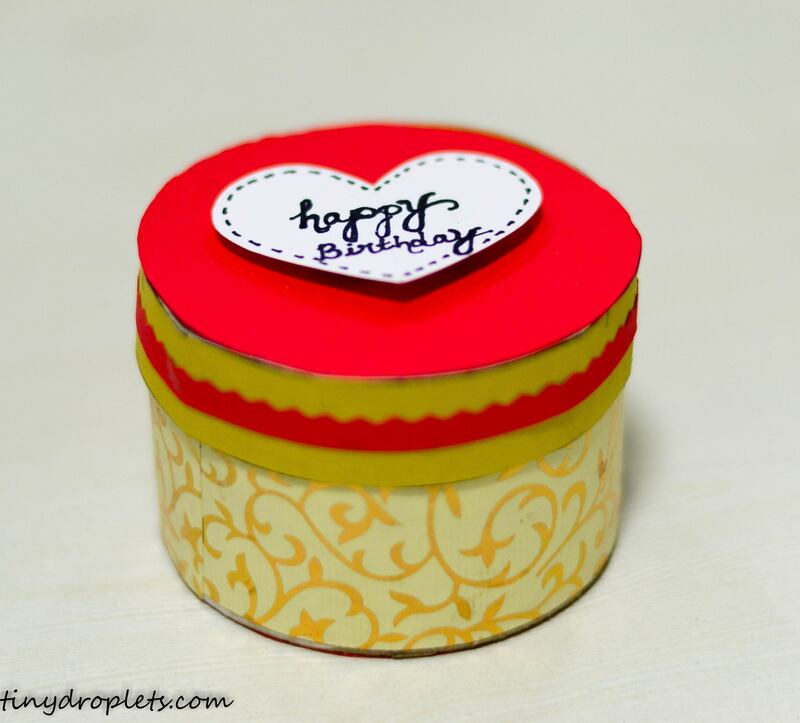 I used golden craft paper to cover the base, wrote message on the inner surface, attached a heart cut-out and used a polka-dotted red ribbon to pack the box. I loved making this box and my friend loved her birthday present.